Across the tribal lands of Oklahoma, indigenous people are supporting Monarch butterflies and other pollinators by learning about and restoring the area's indigenous plant communities. Jane Breckinridge - herself a Butterfly farmer! - co-directs this initiative, Tribal Environmental Action for Monarchs (TEAM), a collaboration of seven sovereign native nations. 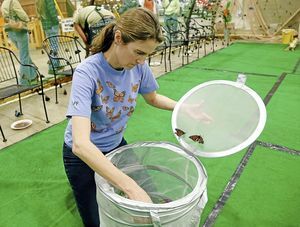 TEAM is growing a living stream of plants and butterflies, the Monarch Migration Trail, in partnership with the international initiative Monarch Watch. Jane also founded the project Natives Raising Natives (2013), which is teaching rural tribal members to cultivate butterflies with goals to (1) reduce unemployment, (2) promote STEM education for Native youth and (3) promote conservation of native butterflies and the ecosystems that support them. 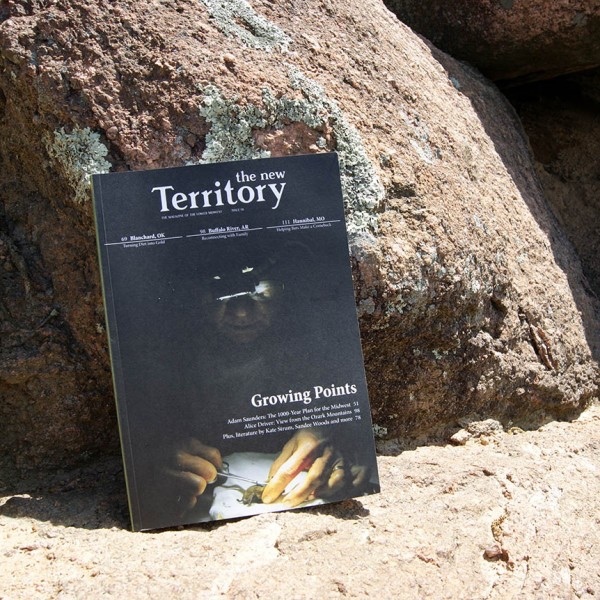 Evolving on the wings of cultural and environmental purpose, this is a new model for conservation as community action. that is working in accord with the partners' diverse tribal values. Healthier humans of all ages are thriving with bugs and plants, in interactions that restore the land all depend upon. Jane Breckinridge will be guest speaker at The Pollinator Dinner, June 20, at the Saint Louis Zoo. Tickets for this delectable, inspiring event go fast. The operation's name affirms its goal: Living Lands and Waters, and it's founder is a powerhouse of encouraging experience for humans along many shores. 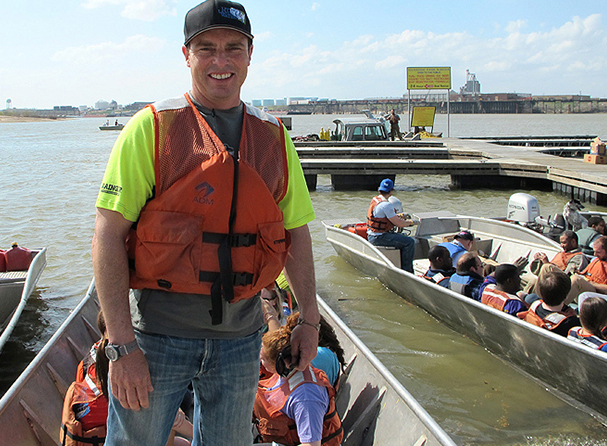 As Chad Pregracke proudly reports, LLW has worked on 23 Rivers in 20 States, mobilizing 98,000 Volunteers to pull more than 9.2 million pounds of Trash OUT of U.S. waterways. Right livelihood, on a barge. Since this guy was 17. Chad is a Green Giant - and his LLW crew and circles of helpers and supporters are doing some of the most amazing, effective and necessary work around. Including connecting people of all political persuasions to our land's big rivers, in ways that enable us all to experience being good citizens of our nation and our Earth. This Earthworms is a rockin' good listen! Earth's atmosphere can safely sustain a concentration of 350 parts per million carbon dioxide (or less). That number, 350, now stands for the world-wide work of climate protection activists (350.org), who also advocate for human stuff like a livable minimum wage - and for office-holders in accord with 350 goals. 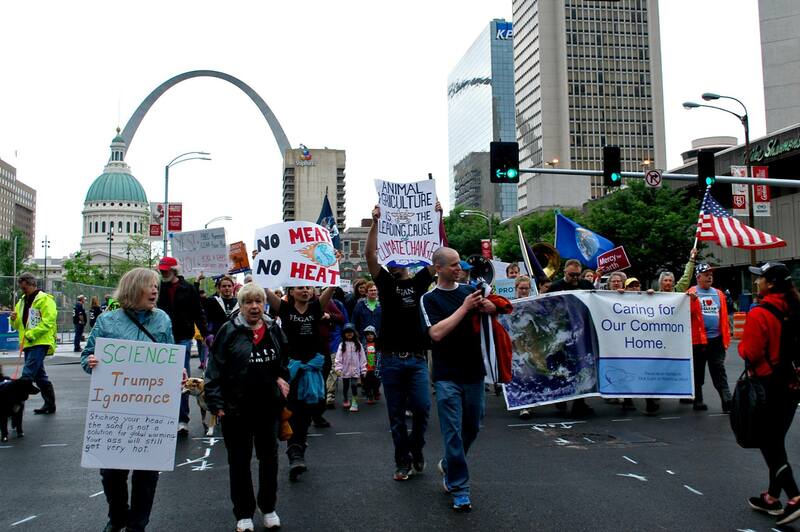 350STL launched in November, 2016, on a wave of local affiliates to 350.org. 350STL organizers John Shepherd, Stephanie Sturm-Smith and Elizabeth Ward talk with Earthworms host Jean Ponzi about this group's purpose and activities - most recently coordinating the April 29 Peoples Climate March in St. Louis - and about their personal motivations and experience doing this work. You'll hear a climate of thoughtful purpose, working toward local and global change. 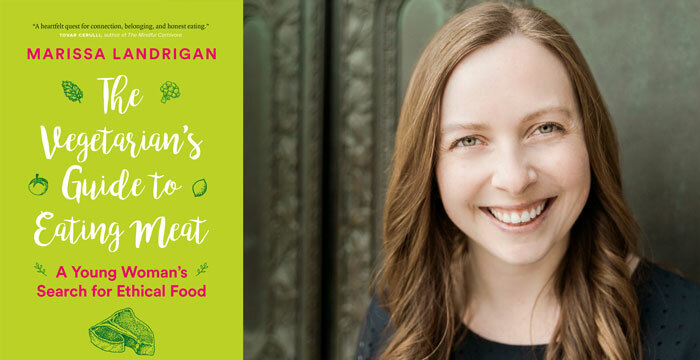 Digging into food values - while exploring her own - author Marissa Landrigan journeyed from her Italian family roots to vegetarian and PETA activism - and on into the realm of modern food production, especially Meat. Her new book, A Vegetarian's Guide to Eating Meat (Greystone Books, 2017), chronicles her quest for dietary and personal identity. 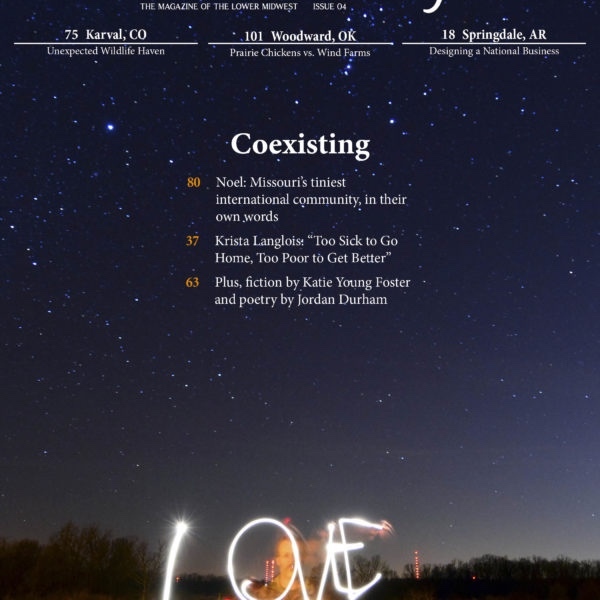 Even if you can expound on Food Issues in your sleep, you'll be nourished by Ms. Landrigan's perspective on the importance of eating local, voting for instead of protesting with your fork, becoming aware of your food connections - plus participating at a steer slaughter and in an elk hunt. This Earthworms conversation with Marissa Landrigan serves a menu of food consciousness, most eloquently. THANKS to Andy Heaslet, Earthworms engineer, and to Kathlene Carney Public Relations.